Pure street poetry. This inimitable, one-of-a-kind design is the birth child of PUMA 4 Lot 78 Vs Sadia. The collaboration was a lyrical blend of thought, aesthetic, and soft, sweet materials – producing a indisputable definition of fashion as art. Sadia Rafique’s portfolio is varied and experienced, with art direction roles in fashion, graphic design, film, photography, web design, and illustration; and her ability to express herself is no less extraordinary. Designing on a computer and illustrating by hand, Sadia’s designs have been translated into graphic placements, repeat prints, appliqués, and embroideries for knitwear, denim, jersey, branding, and accessories. In summer ’08, Sadia took a full-time role working as a Graphic Designer for a number of women’s performance lines within PUMA AG, under the newly appointed creative direction of Hussein Chalayan. While at PUMA, she executed a major collaboration with PUMA and Lot 78 for this spring/summer ’10 season. Lot 78 is a collaborative ‘non brand’ designed and run by Ollie Amhurst, and features hand finished luxury leather and jersey pieces, inspired by a desire to further expand the correlation between art and fashion. This collaboration originated from an earlier collaboration between Sadia and Lot 78 which consisted of twenty six hand-illustrated vintage biker jackets. The PUMA 4 Lot 78 Vs Sadia concept was based on this previous collection, as Sadia chose to hand paint PUMA First Rounds in the same vein as the jackets. 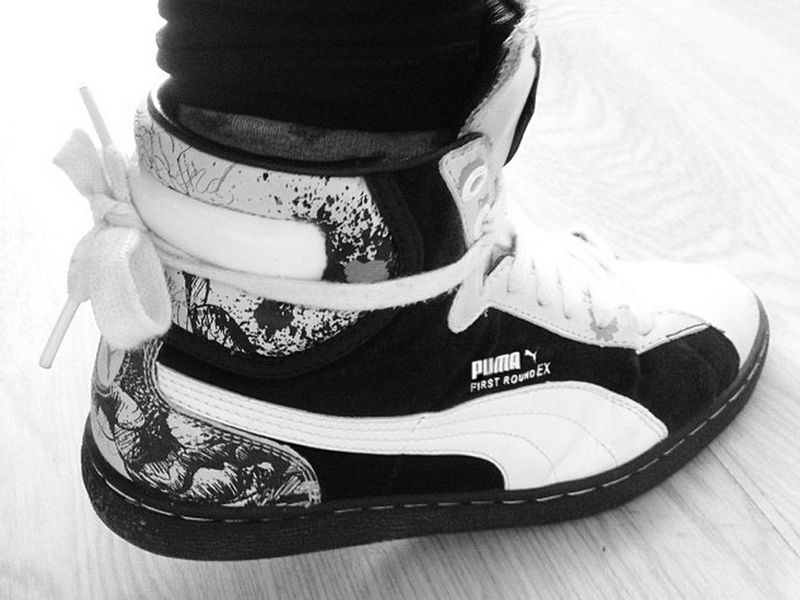 PUMA provided Sadia with the iconic First Round silhouette and she went to work – handpicking the fabrics, colors, trims, laces, print techniques, and designing the shoe bag to accompany the shoes. She artworked all the shoe graphics, using the factory block so that she could place artworks with more precision. 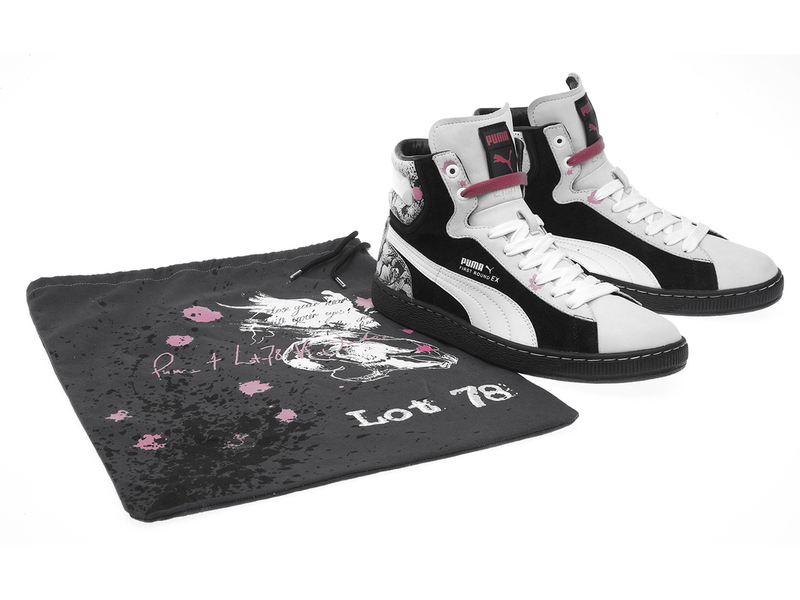 The final design features transfers of Sadia’s ink drawings and poetic messaging in black, white, and pink on PUMA First Rounds, enhanced by Lot 78’s quality soft leather and suede. 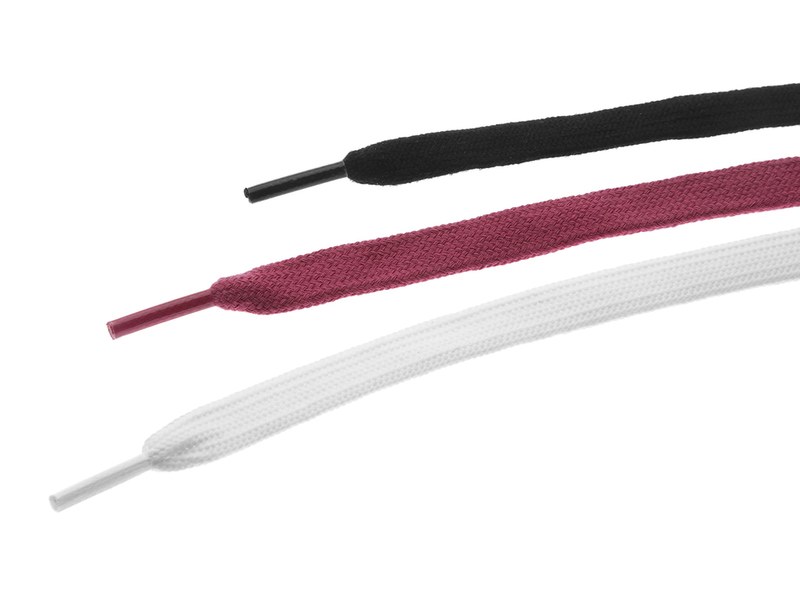 Quantities of the shoe are limited to 500 pairs. PUMA 4 Lot 78 Vs Sadia hits stores on March 20th 2010.